The Emden Goose is the larger of the two species which Northern Goose produces. 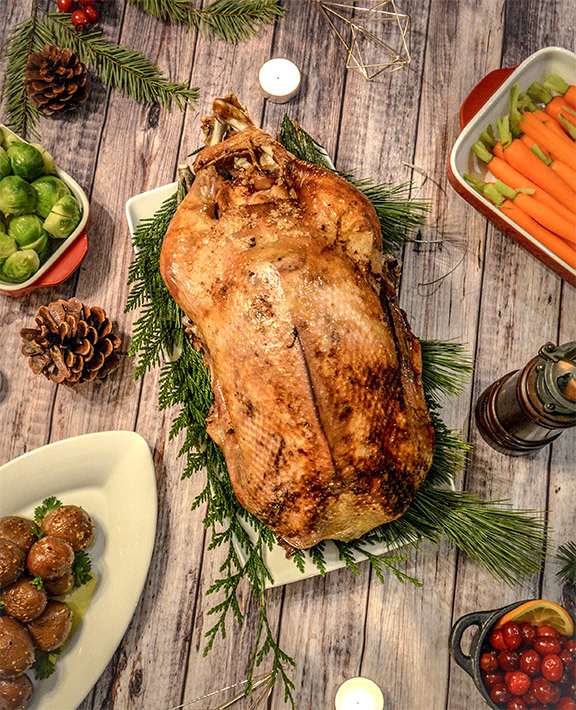 A typically North American-style holiday bird, this specie grows much larger and has a leaner but more apparent helping of breast and leg meat. Very pleasing for all appetites, this bird is suitable for those that enjoy the traditional European celebration of a goose to be shared amongst family. A warning to the wise, once you try your first goose, you may never go back to turkey. Only birds cared for with the highest standards of practice are accepted by Northern Goose Processors. At Northern Goose, we are a family owned and operated business, and as such it is of utmost importance that all animals are treated humanely and ethically throughout their growing, and through the entire process. All animals are cared for under the strict regulation of the Canadian Food Inspection Agency (CFIA) and all of the farms we procure from are regularly audited by both employees of Northern Goose, and by 3rd party auditors for the standards of practice and raising conditions. In addition, a CFIA veterinarian and inspectors are on site at all times during processing to ensure that humane treatment regulations are followed. Northern Goose’s process is such that harmful waste is totally eliminated from the life-cycle. All possible by-product is either processed on site or provided to rendering for future processing. Any bio-waste product enters municipal treatment via effluent and is 100% biodegradable. Feather by-product is a very popular consumer product, and is washed and sorted on-site by specialized machinery. The processed product is sold to companies which produce high quality duvets, pillows and outerwear. For more information on Northern Goose’s Down and Feathers please click here. The Chinese-style goose is a smaller species of bird, selectively bred over several years by farmers in conjunction with the Canadian government to be suitable for Chinese immigrants to Canada. 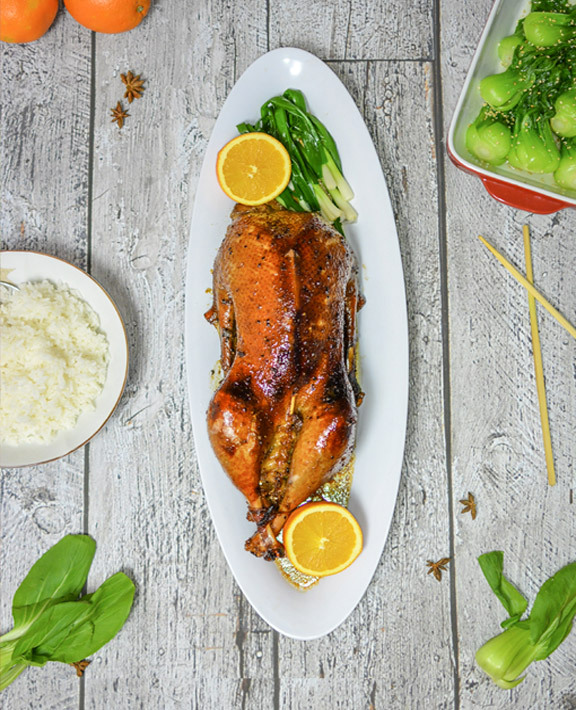 Perfected by Ontario-based Everspring Poultry, Northern Goose has been granted license to produce this specie which has found great success in the Chinese community. Typically prepared as a BBQ-style goose, the buttery rich taste of the meat is complemented by the crispy skin. A cultural favorite, but suitable for all palettes.